Your eyebrows define your face. 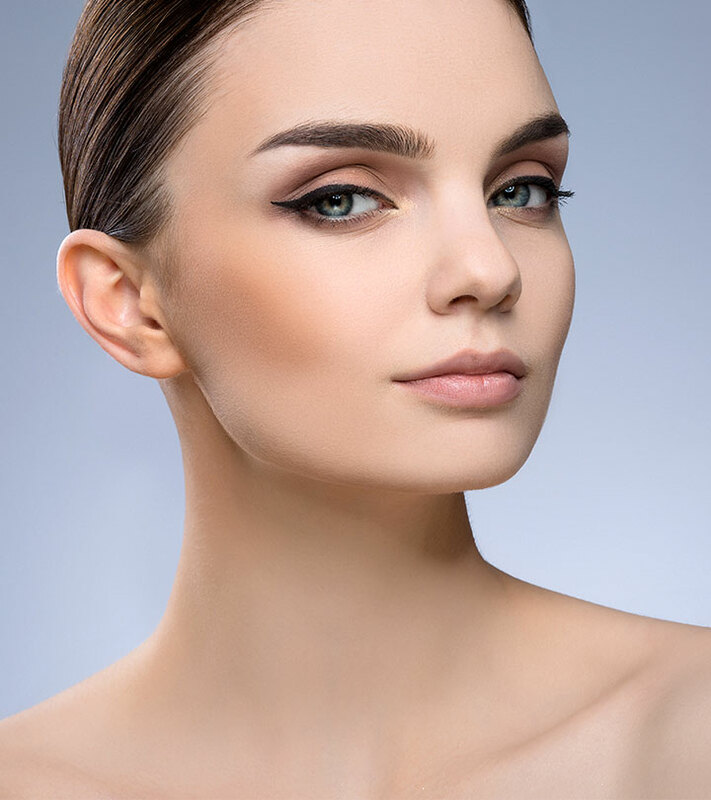 Bold and thick eyebrows are all the rage right now, and everyone – from catwalk models to red carpet divas – is sporting them with great elan. Fuller arches can take years off your face and enhance your look. If you want to lay a claim to this look, you have come to the right place. We have the perfect list of home remedies that can help you flaunt those thick eyebrows. If you have sparse and scanty eyebrows, you will agree with me when I say that most of the eyebrow products available in the market make them look drawn on, a.k.a fake. If you are always on the lookout for remedies to make your eyebrows thicker naturally, this article is for you. We are going to make your life easy and discuss different remedies on how to thicken eyebrows naturally. These remedies will make your eyebrow hair stronger and thicker, and some of them will also aid fresh hair growth. Read on to know how to get thick eyebrows in just a few weeks. Well, before you start expecting an ‘overnight miracle’, let me tell you some facts about growing eyebrows faster. The usual growth rate of the eyebrow hairs is more or less 0.16mm per day. Depending upon it, you can grow your desired eyebrows anywhere between four and eight weeks. So, you have to be patient while trying the following home remedies or taking care of your brows through regular practices. Now, here are the ways to increase the growth rate of your eyebrows significantly. There is no need to fork out tons of cash for insanely expensive serums and treatments when these simple home remedies can do a much better job. 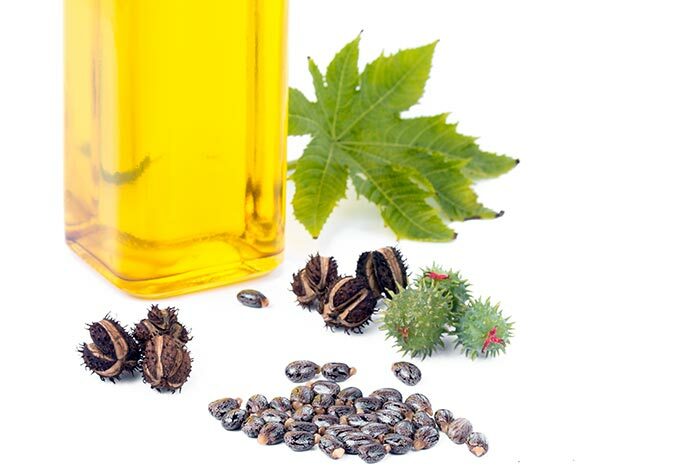 Castor oil is one the most effective remedies for getting thicker eyebrows. It promotes hair growth and also ensures that each hair strand is thick and strong (1). Your eyebrows are made up of proteins. Coconut oil reduces protein loss and makes your brows stronger (2). The lauric acid present in it acts as an antimicrobial agent and prevents infection of the hair follicles (3). This prevents further damage to your brows and stimulates them to grow faster. 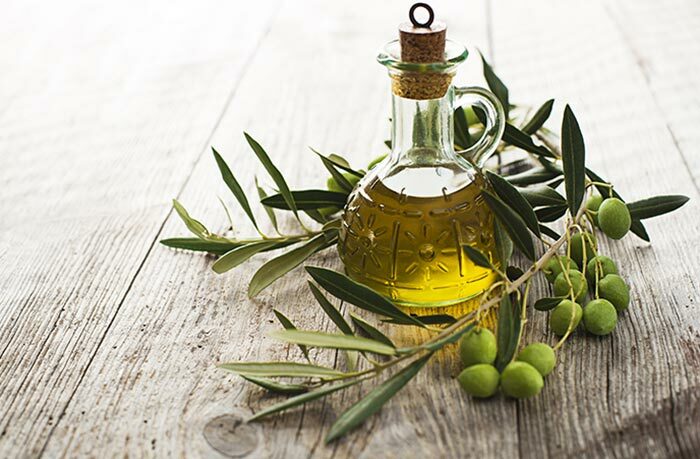 Olive oil contains vitamins A and E that help in the growth of hair. Vitamin E nourishes each hair strand while vitamin A stimulates the production of sebum, your body’s natural oil, which helps with hair growth (4). 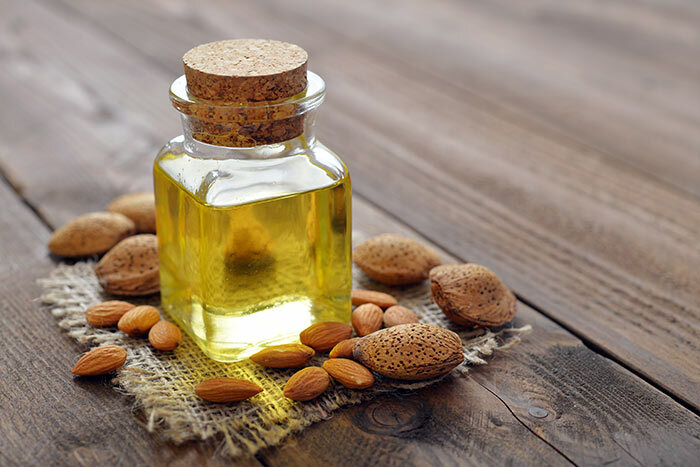 Rich in vitamins A, B, and E, almond oil nourishes hair and stimulates hair growth (5). Aloe vera contains a compound named aloenin that promotes hair growth (6). Chop the onion. Put the pieces in a blender and make a paste. Strain this to get the juice. Using a Q-tip, apply the juice to your eyebrows. Keep it on for an hour. Wipe it off with a cotton ball soaked in diluted lemon juice. Apply onion juice to your eyebrows every alternate day. Onions are a rich source of sulfur, which prevents hair loss and stimulates hair growth (7). 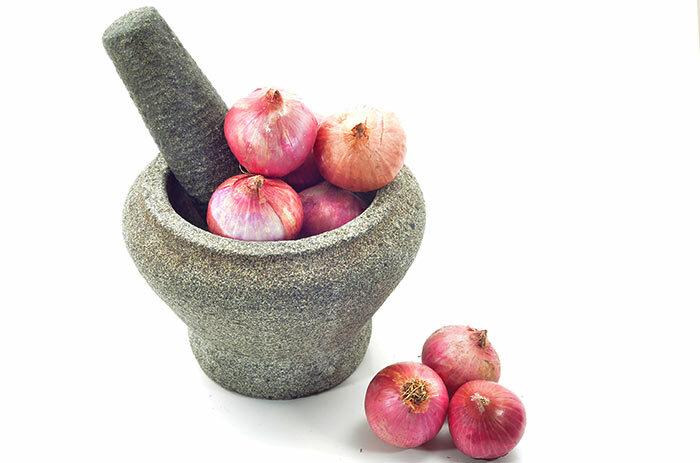 As onion has a pungent smell, it is best to use lemon juice to remove all traces of the smell. Break open the vitamin capsule and apply the oil present inside on your eyebrows. 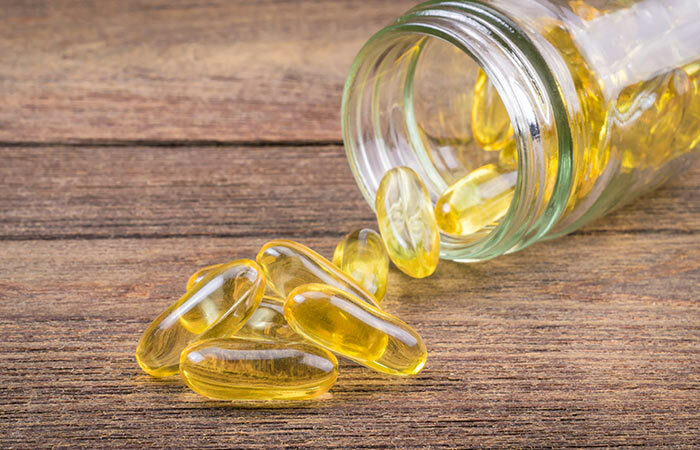 Vitamin E oil promotes hair growth and strengthens fragile hair (8). It contains tocotrienol, an antioxidant, and helps reduce any stress that may be restricting your hair growth (9). 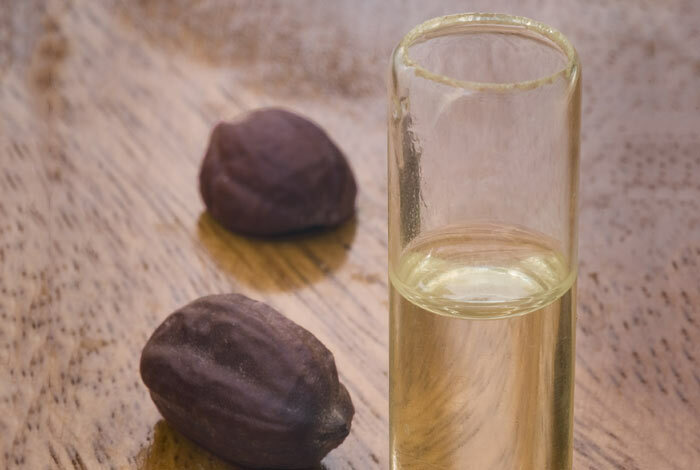 Jojoba oil nourishes and unclogs clogged hair follicles, which can make your eyebrows grow faster. It also seals and protects hair, giving them a natural shine (10). Separate the egg yolk from the white. Beat the yolk till you achieve a smooth consistency. Apply it to your eyebrows with a Q-tip or a brush. Keep it on for 20 minutes and then rinse with warm water. It is recommended to use the egg yolk on your eyebrows twice or thrice a week. 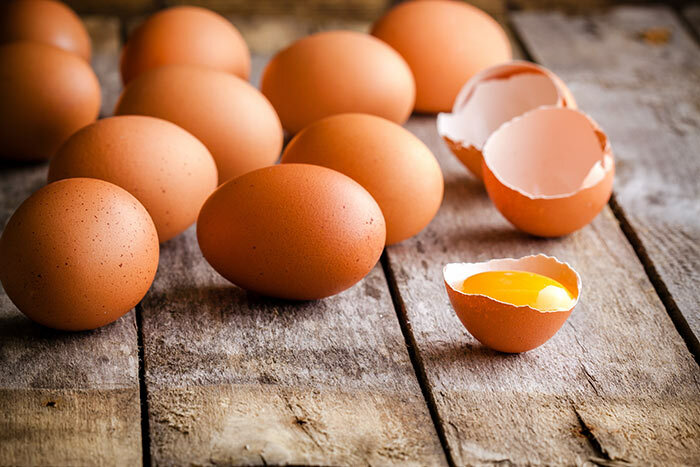 Egg yolks are a rich source of biotin that helps your brows grow faster (11). Egg yolk may clog pores and lead to acne. 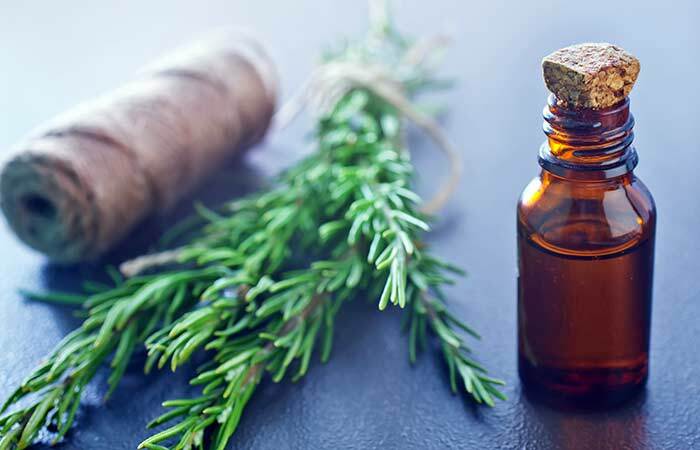 Rosemary oil has been found to have an effect on hair growth. It stimulates blood circulation and cell division, causing fresh hair growth (12). Gently massage your eyebrows with the cotton ball. Keep it on for 15 minutes and then wash with water. For best results, do this every day. 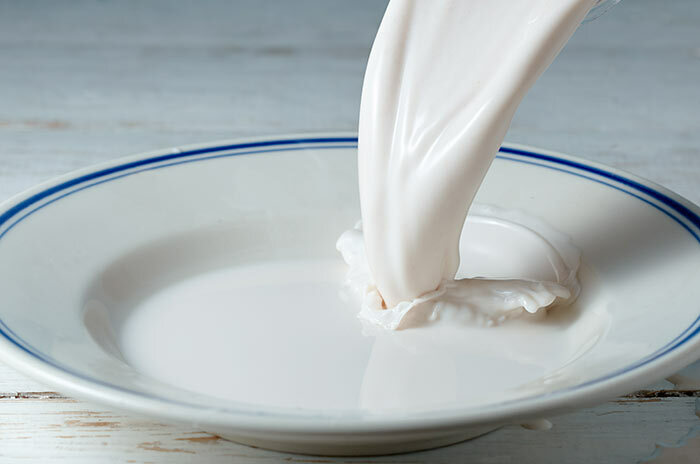 Milk is believed to be good for hair growth as it contains many essential vitamins, minerals, and nutrients (13). Oak the fenugreek seeds in water overnight. Grind into a fine paste and apply to your eyebrows. Keep it on for 30-45 minutes and rinse with warm water. This pack should be used twice a week for effective results. 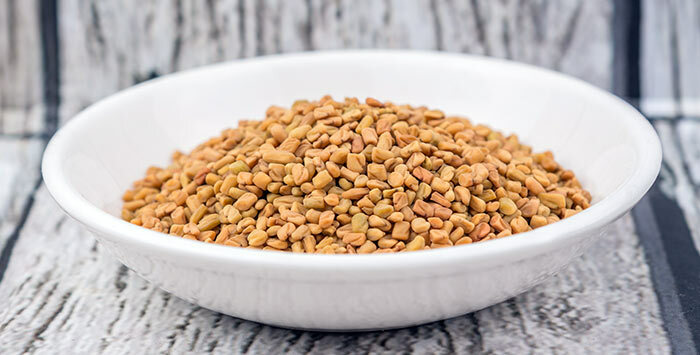 Fenugreek seeds have been considered an important component of hair care. The proteins and nicotinic acid present in it stimulate hair growth. It also rebuilds the hair follicles, thus causing fresh hair growth (14). Tea tree oil is known to unclog pores, and this promotes fresh hair growth when applied to the eyebrows. It also prevents hair thinning and hair loss (15). Massage the oil into your eyebrows. Keep it on overnight and wash off with a mild face wash and cold water. Applying sesame oil to your eyebrows every day will help them grow faster. 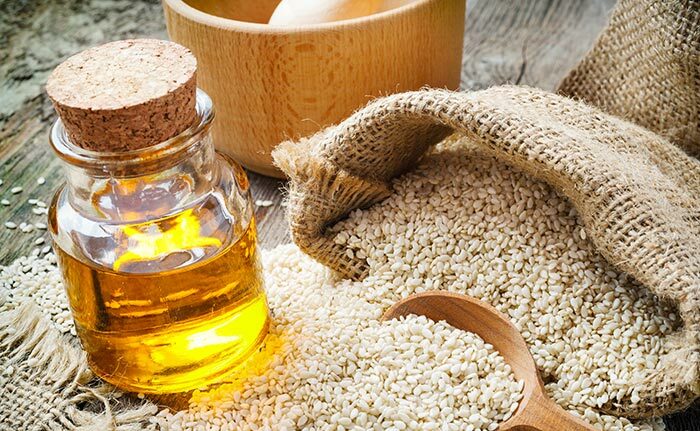 Healthy hair and hair growth are two factors that are enhanced by sesame oil (16). Use it regularly for amazing results. Dip the clean mascara wand into the oil. Apply to your eyebrows and keep it on overnight. Rinse with face wash and warm water. This should be done on a daily basis to see optimum results. 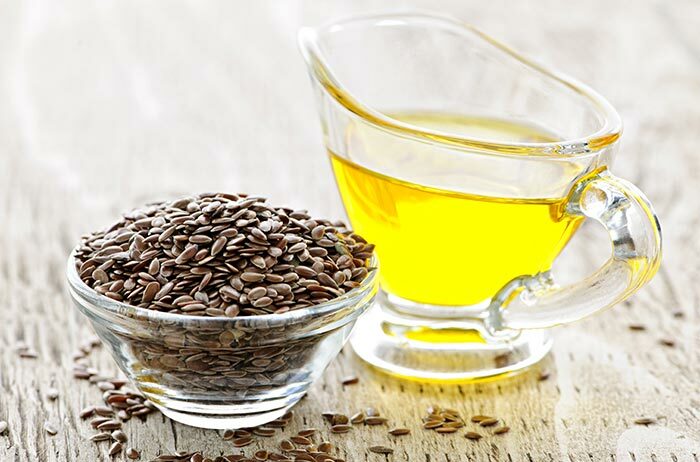 The essential fatty acids that are present in linseed oil can help you achieve thicker eyebrows (17). Crush the hibiscus flower/leaves and apply directly to your eyebrows. You should use this daily for best results. 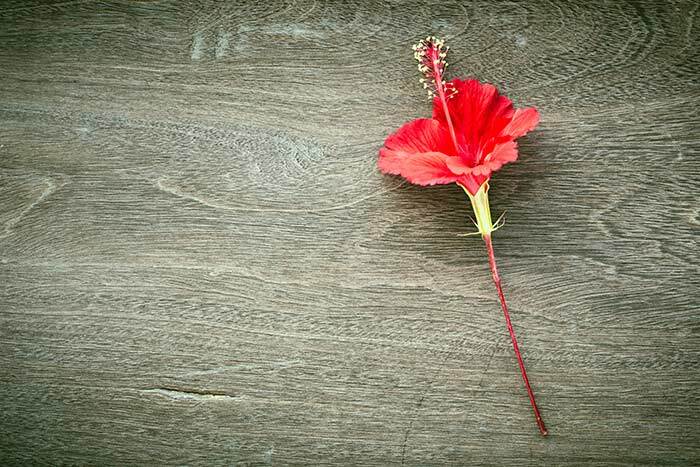 Research has ascertained that hibiscus extract promotes hair growth. Both the flower and the leaves work well, with the leaves having a slightly upper hand (18). 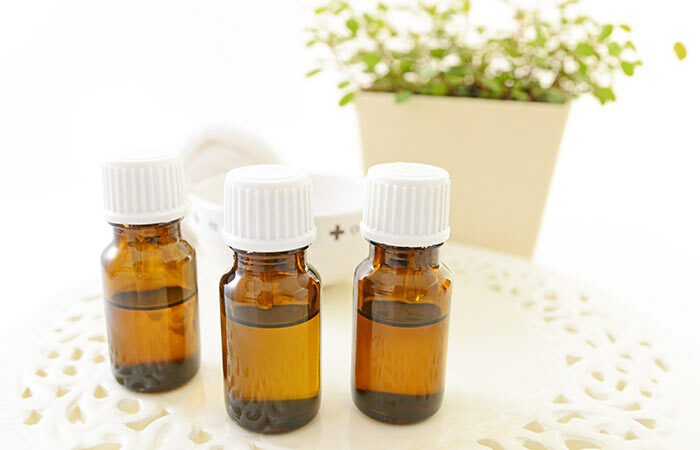 Add the lavender essential oil to the carrier oil. Massage the mixture into your eyebrows. Keep it on overnight and wash it off with a mild face wash.
For faster results, this should be done daily. Research has shown that lavender helps with hair growth (19). 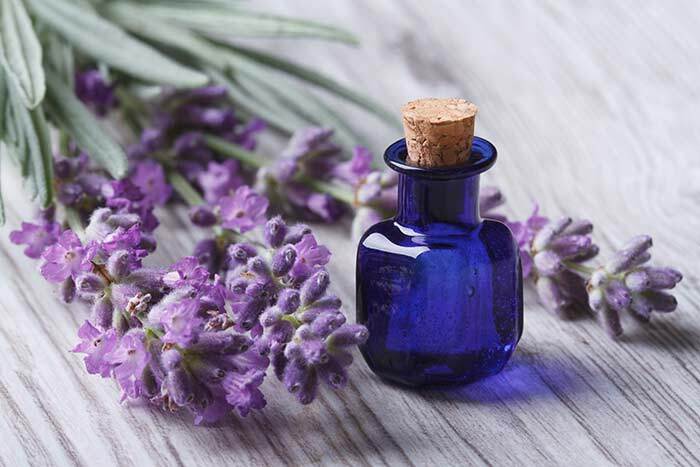 As with all essential oils, do a patch test before you use lavender oil. Crush the curry leaves and soak them in a cup of warm water for a few hours. Apply the concoction to your eyebrows and keep it on overnight. Use this three for four times a week. 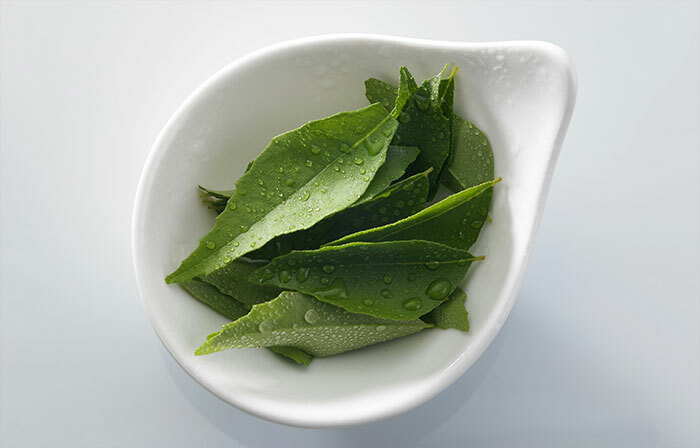 Curry leaves have been an integral part of Ayurveda and have been used to promote the growth of hair (20). Apply the petroleum jelly on the eyebrows and leave it on overnight. Do not apply too much as it may stain your pillowcase. Repeat this every night until you have achieved the desired thick eyebrows. Petroleum jelly moisturizes the skin under your eyebrows and also nourishes it. It promotes the growth of healthy and shiny hair. 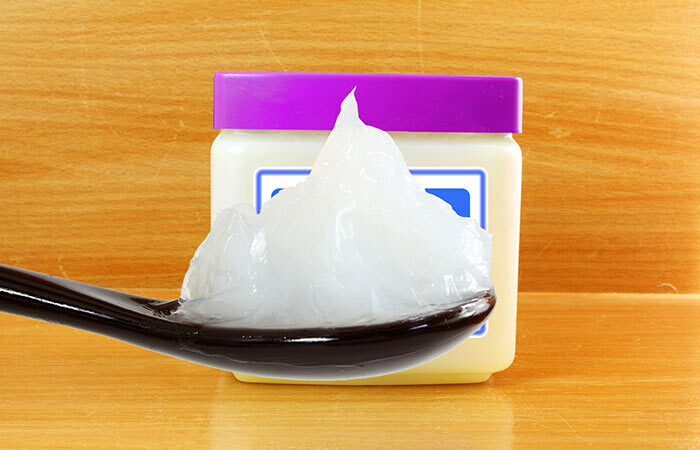 Petroleum jelly is high in oil content. 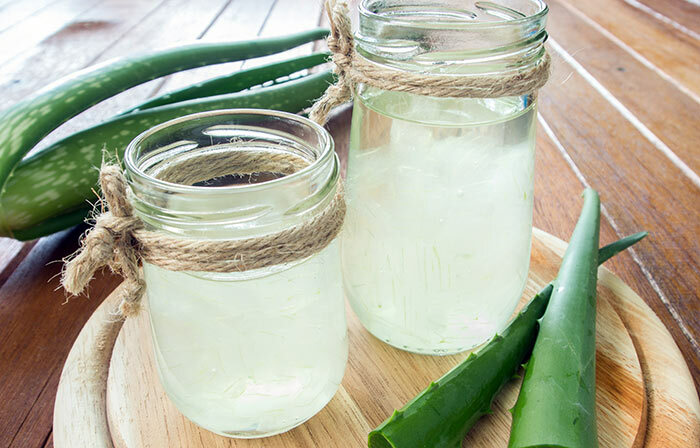 If you have acne-prone skin, do not use this home remedy. Cut a thick slice of lemon and rub it on your brows for 2-3 minutes. Rinse off the lemon juice after two minutes. The acidity of the lemon juice removes the excess oils and helps more oxygen reach the hair follicles (21). This promotes hair growth in your eyebrows. Do not leave the lemon juice on for too long as it can lighten the color of your eyebrows with its bleaching properties. Peel the lemon and slice the peel. Pour pure coconut oil into a glass bottle. Add the sliced lemon peels to the oil. Now, cover the bottle with its cap and place it in a cool, dark place for at least 14 days. This infusion should be applied to the eyebrows with the help of a cotton ball. Lemon cleanses the clogged pores and improves air circulation to the hair follicles, whereas coconut oil provides the nutrients required for healthy hair growth. Mix the ingredients well and apply the blend to your brows with a clean cotton ball. You can easily prepare this natural blend at home to speed up the growth of your eyebrows. This remedy utilizes the benefits of these individual ingredients, as mentioned in the above remedies, to amplify the effect and get thicker eyebrows quicker. Pour all the ingredients into a glass bottle and give it a good shake after closing the cap tightly. Dab some of this mixture on your eyebrows using the cotton. Leave it on for 30 minutes and then rinse with plain water. Repeat this once or twice every day. This homemade eyebrow growth tonic will stimulate the growth of your brows to a great extent. The acidity of the lemon and lime juice cleanses the area and removes oil build-up from clogged pores. 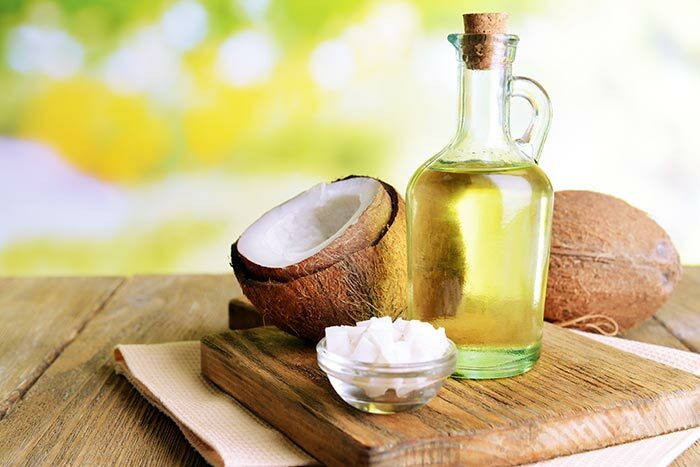 Coconut oil nourishes the skin and hair follicles, and the tea tree oil promotes fresh growth of hair. These home remedies for thicker eyebrows are safe to use and have shown results in the past. Use them on a regular basis and see the difference. Here are a few tips to keep in mind when you are aiming at getting thicker eyebrows in a short span of time. If these remedies are not your cup of tea, you can opt for commercial eyebrow growth enhancers available in the market, which include eyebrow growth serum and eyebrow growth conditioner. It is important to confirm the absence of harmful ingredients before using these commercial products. Let us now take a look at a few frequently asked questions. Is threading good for thick eyebrows? Threading the eyebrows is a method to remove any excess hair and give your eyebrows an appealing shape. 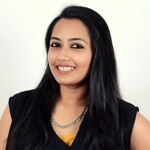 When you are trying to grow thick eyebrows, it is important to let your threading specialist know about it so that he/she does not remove too much hair while threading. Can plucked eyebrows grow back? When you repeatedly pluck your eyebrows, they will not grow back because the hair follicles are completely damaged. How long does it take for eyebrows to grow back after plucking, tweezing, or waxing? Usually, it takes five to six days for an eyebrow hair to grow back after you have removed it by plucking, tweezing, or waxing. Now that you know how to get thicker eyebrows naturally, what are you waiting for? Natural remedies might take a little time to work, but they are effective and inexpensive. Do you know any other tips for thicker eyebrows? Don’t forget to share with us. 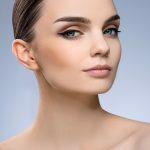 How To Make Your Eyebrows Thicker With Makeup?